A Forbes article declared 2017 to be the best time to be a beauty startup. It estimated 40 prominent startups in the $445 billion industry – and they were all founded by women. This made the market “one of the most prevalent places for women to self-start their way to big-time success.” It’s safe to say Emily Weiss of the New York-based beauty startup, Glossier, couldn’t agree more. After all, it was 2017, just three years after the company’s founding, when Glossier expanded into Canada and the UK. The company gained traction by asking affordable prices for its must-have products. In fact, in 2016, two of its products had waiting lists of 10,000 people. And, in February 2018, Emily got $52 million in new capital to continue to build her brand. Yet, it’s not its pricing strategy that puts Glossier among The Challenger Project’s top challenger brands to watch in 2018. Instead, it’s how Weiss and her team continues to buck beauty company-to-consumer norms. Glossier doesn’t sell its products for their ability to be a “mask” for women. Its aim, according to Business Insider, is to “help women feel more comfortable in their own skins.” Further, Glossier doesn’t tell consumers what products they need to buy and how to use them. The company encourages its community to share tips and tricks amongst each other. This is smart, as Nielsen has reported that 92% of consumers trust peer recommendations over advertising. At the same time, Glossier has successfully placed itself at the center of its user community. Its belief is the “Glossier ecosystem survives and thrives on a symbiotic relationship with you, and her, and her, and him.” Emily Weiss knows, to stay among top challenger brands, her best strategy is one that surrounds consumer engagement at every turn. One article sums up the importance of consumer engagement well. “In the age of online access and unending choice, customer engagement—that personal, emotional, loyalty-inspiring connection to a company—is increasingly important for a brand to rise above the fray.” It adds that, “while legacy brands struggle to create this connection with millennials, Weiss seems to innately understand it.” And, for top challenger brands, like Glossier, the struggle is immense. These brands face the mountainous task of getting buy-in for their radical ideas. They must help consumers understand why their unique position is worthy of choosing over competitors. For Glossier, two-way conversations that allow consumers to understand its goal have come easy on social media. And, Inc. deems this dialogue necessary for a brand’s message to retain its relevance. In fact, it says 73% of consumers consider the transparency that derives from these talks more important than price. But, when looking to social media as the main source of these conversations, two truths remain. One, all brands’ ideas may not be easily digested via social media. Some may require more than the mere seconds marketers have to make their point and initiate interest. And, two, as AdAge points out, it’s imperative brands move to a compelling brand experience, before the innovation wears off, to remain relevant. Did you know people now spend up to five hours a day on their mobile devices? Consider the few minutes here on Facebook, and the few minutes there reading the latest news, all day long, and it adds up fast. Yet, this preoccupation with smartphones isn’t welcome by all. Take stage performers, for example. It can be discouraging and disruptive to look out and see your crowds fixated on their phones. US company, Yondr, recognized this problem and set out to provide a solution. That is a lockable phone pouch that creates phone-free spaces where they’re desired. And, those who rent them – like comedian Chris Rock – love them. Meanwhile, you can imagine that many consumers don’t share his sentiment. 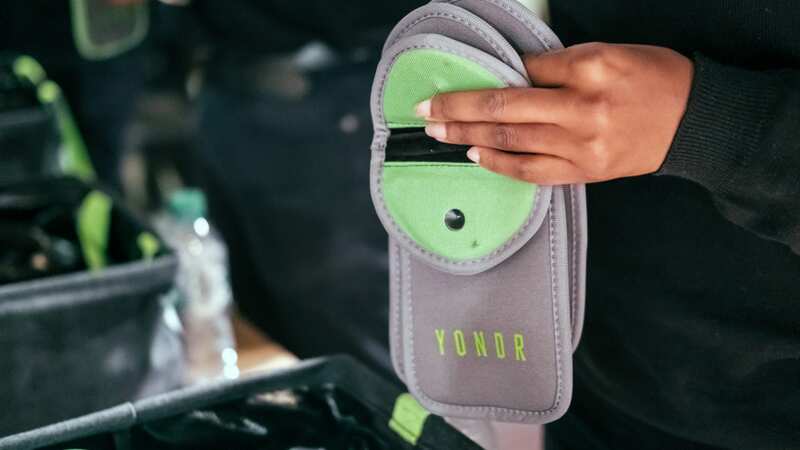 While challenger brand Yondr doesn’t market to consumers, it does have to sell them its revolutionary idea when asking to hand over their phones. It’s no easy task, engaging consumers dependent on these devices, especially when they become angered, refuse to take part and leave. That’s why, for certain Chris Rock tour stops in the US and the UK, Yondr brought in professional event staff. These individuals were well-versed in fast-paced, high-pressure environments. They were detail-oriented to ensure no phones made it past them. And, they had the confidence to handle any obstacles thrown their way. 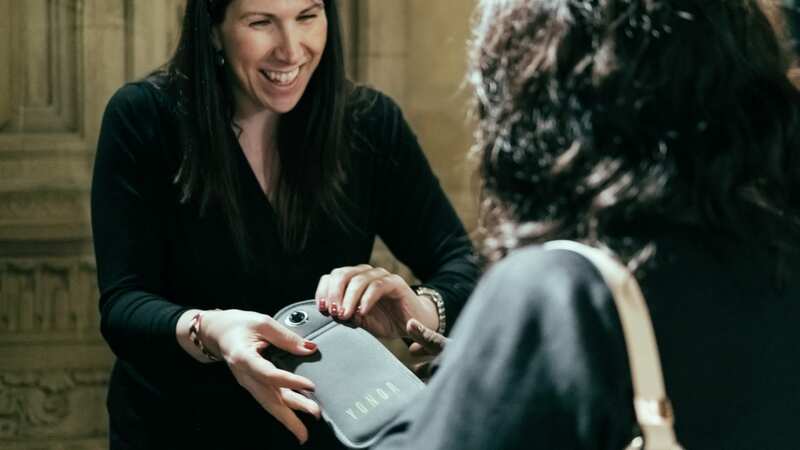 In the end, these event staff secured 60,000 phones at five live events. And, they helped consumers truly live the experience they long for – and not from behind a phone screen. It’s no secret millennials and Gen Z prefer to buy experiences over consumer goods. So, Forbes gives advice to help brands survive in the “experience economy.” It explains that our younger consumers “shape purchases around their values.” It says, “Brands that listen to consumers and find opportunity among their evolving wants and needs rather than in spite of them are the ones to watch.” Brand activations allow top challenger brands and others to deliver on these wants and needs. It’s why Glossier began executing pop-up shops last year. And, in March 2018, it activated a month-long pop-up at Rhea’s Café in San Francisco, where it offers a true brand experience for consumers. They can get hands-on with products, be among community and create content to take back to their fellow Glossier peers in three countries. We’ve watched other challenger brands deliver various experiences over the years and show staying power. Mattress brand Casper is another notable example. Its brand activations have helped people get to know its mission – and to sleep – at SXSW and even under the stars in Casper, WY, for last year’s eclipse. These brands understand how critical brand experience is to consumer engagement and building lasting relationships that take them beyond their big idea. Elevate helps challenger and traditional brands alike find event staff that embody their brand concept and build relationships with consumers. We’d love to chat about your next in-person marketing project.